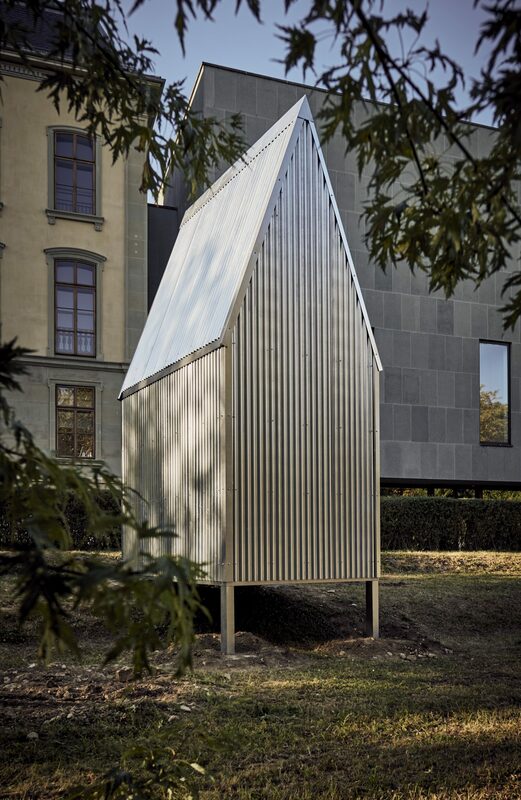 A small house stands in the garden in front of Kunsthaus Pasquart, the «KlHaus». For a period of three years we will collect and assemble what is happening in another place 800 kilometres to the north-east, or rather, everything that this other place generates in terms of thought, image and sound. This other place is situated in the gazebo of an allotment garden in Leipzig. It was constructed in 2005 by Haus am Gern in the form of a white cube in the gazebo of allotment 266 of the association of small gardens in Anger-Crottendorf. In accordance with the EN ISO 14644 contamination control standard, it was then cleaned by the firm Pro_Con, specialists in the cleaning of cleanrooms, then sealed and declared by Haus am Gern to be a «HISTORY FREE SPACE». It is the only room of its kind on this planet.